The importance of teamwork has been understood since slave gangs defied engineering boundaries to build the Egyptian pyramids. From grassroots football squads to theatre staff doing intricate brain surgery, teamwork is what makes it possible for groups of people to make great things happen. 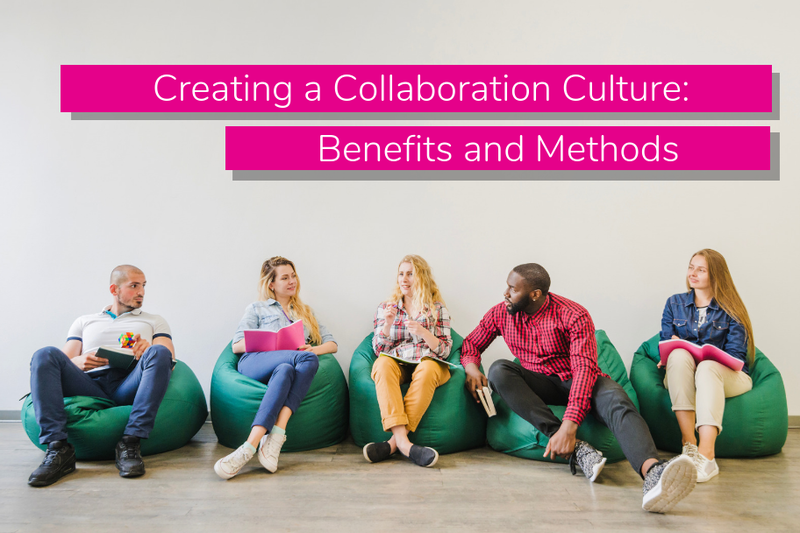 The modern manifestation takes the principles and advantages of this “joined up” working much further, because successful companies invest in a culture of collaboration, rather than simply creating strong team dynamics. But what’s the difference, and why does it matter? Businesses of all types and sizes are based on staff teams carrying out a series of important daily functions. Success comes from carefully orchestrating this, so everyone knows their role, but also understand how it impacts on the rest of the team. Strong teamwork involves everyone working in unison and focusing on shared goals and aspirations. The sum of the parts becomes greater than the whole. Collaboration cultures are similar, in both their results and origins. However, unlike teamwork, collaboration celebrates and encourages free thinking, and a degree of fluidity in responses and contributions. In essence, it encourages people to think together, as well as to work together. Think together and work together! Technology has automated many business functions, leaving the more mundane and mechanical processes to machinery and software. Within this changed business landscape, teamwork is still absolutely vital, of course. However, businesses now have more potential to unlock the minds of employees too, to explore their more holistic contribution to business improvement. 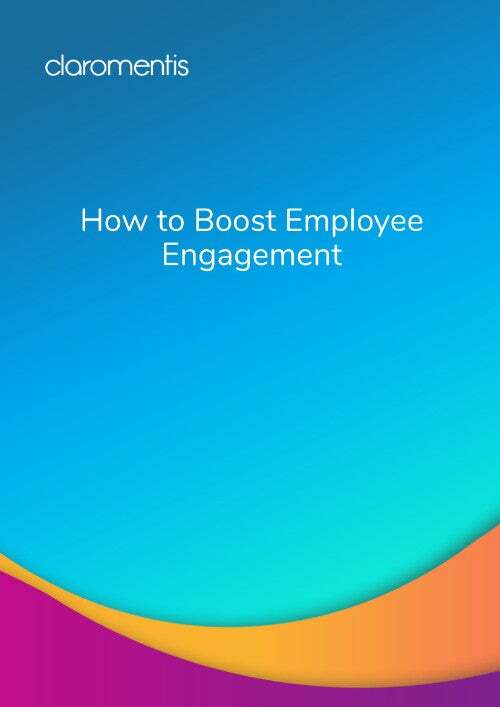 This could include investing more time in truly engaging and moulding staff teams, establishing emotive reactions such as loyalty and ambition. Do these things matter to the staff themselves? Put it this way: in a Gallup poll, 89% of employers reported that staff churn was caused by pay levels. In reality, only 12% of employees said money was the reason for leaving a job. Staff who are listened to, recognised and motivated, are more likely to stay with you. In fact, according to the same survey, if you engage your employees, they are 87% less likely to resign. Allowing staff to bring their “whole self” to work, through a culture of collaboration, is central to improved engagement. Your staff could be your greatest source of improvement and innovation. By getting up close and personal with your product or service every day, they gain perspectives that aren’t always available to the board or executives. For example, your sales force has direct contact with customers more often than senior decision makers. Are they picking up non-verbal cues or spotting ways in which they can improve your customer experience? Another example would be machine operatives, who can see glitches and flaws as they occur. Are they harbouring views on how they could work quicker, slicker and with less waste? Having a culture of open collaboration means staff feel able to express opinions and observations. Their views are valued. And we all know that happy staff equals more productive staff. Your employees will also be far more willing to flag up issues as they happen. Errors, oversights and potential delays can be dealt with swiftly if the emphasis in your organisation is on collaboration, as well as control. Particularly if individuals have access to a network of colleagues to discuss quick solutions, with no “blame or shame” attached. 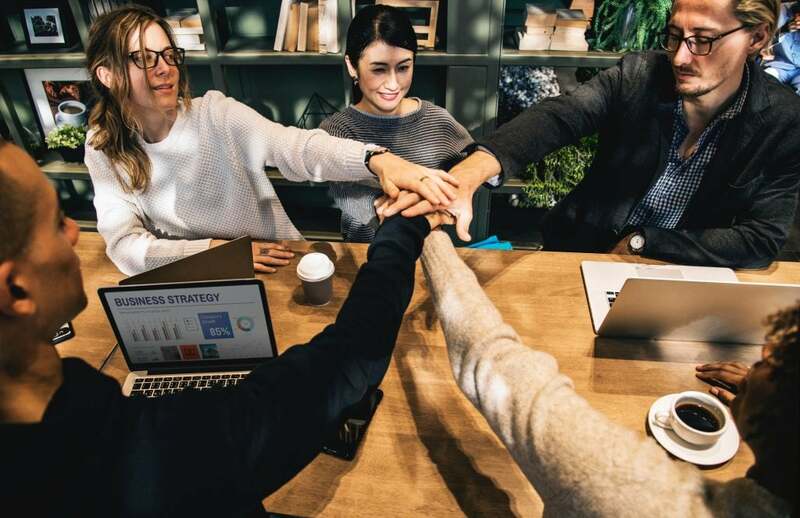 Creating a collaborative culture in your business also links with a vital advantage of the digital workplace: the opportunity to share information freely, end to end. An authentic digital workplace supports data visibility and sharing, across every aspect of the organisation. It eradicates data silos, gaps or overlaps. This incredible potential for digital connectivity both supports and demands collaboration. To move things along, why wait to meet in person or laboriously exchange emails? Why risk having someone in the team working from an outdated copy of a report, or duplicating someone’s else’s contribution? Such things can make a mockery of “teamwork”. Creating a digital workplace – in which collaboration is instantly possible – improves communication and productivity substantially. Not least, in avoiding having separate departments or even maverick staff who interrogate and use data in “splendid isolation”. Much of the work to create a collaboration culture hinges on open communication, in a well-managed way. In team meetings, time could be set aside for open-ended discussion and sharing of work-related information in a relaxed fashion. Line managers should actively seek the contributions of their teams. However, in a digital workplace, fruitful collaboration rests primarily within properly planned and configured intranet software. Intranet usage should never be a “one-way street”; simply a channel through which business information is delivered from executives to staff. 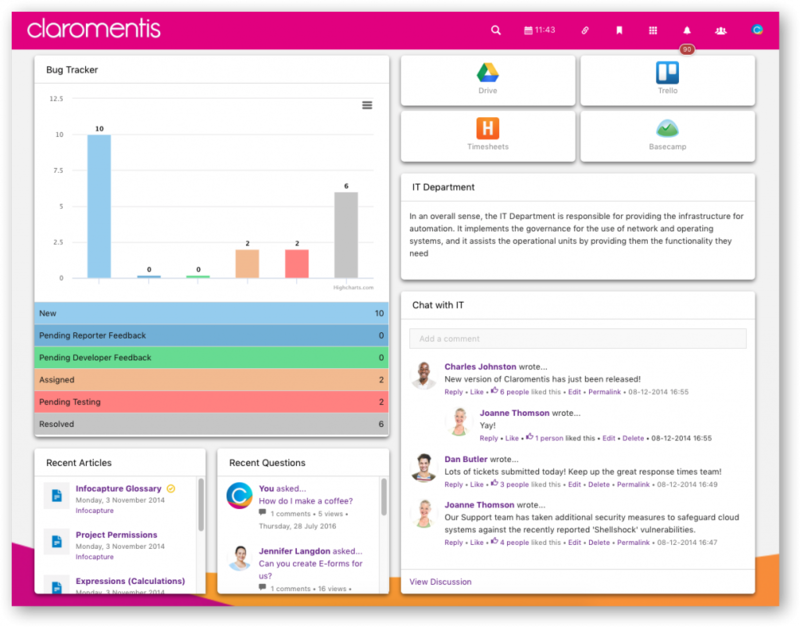 Intranet software has the potential to promote and support meaningful enterprise collaboration. It offers platforms for diverse teams and individuals, in any location, to share and discuss projects. This includes group threads, so teams can address each other in real time and instantly see data changes. Project teams can also search using tags, to draw up relevant additional ideas and information, as they conduct discussions. However, your collaborative opportunities don’t even need to be confined to data sharing and virtual meetings. 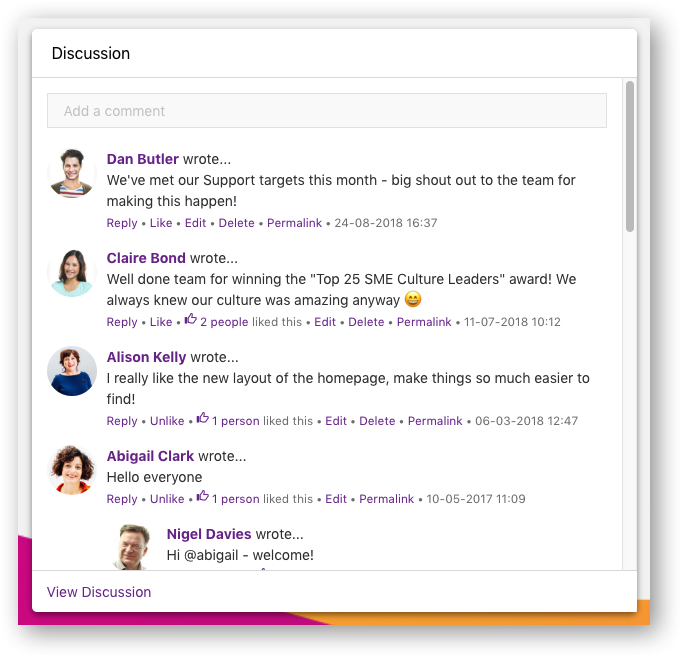 Adding corporate social networks to intranet software is a great way to encourage internal discussion and closer working relationships. It is the digital equivalent of your team meeting around the coffee machine, to exchange news, views and ideas. Remember though that social network discourse may not always be restricted to nuggets of business intel! But that’s OK, and should be embraced. Its very presence within your intranet software shows corporate support for relationship building.